Home renovations can be challenging. If you want to completely change a room, or you want to change several rooms, things can quickly become complicated and expensive. Decorner is a cost-effective solution for those who want to trust a single entity to handle all of their home renovation needs. From kitchens, to baths, and to projects that encompass the entire home, their professionals can give you the new room or home you have been looking for. This company has a solid reputation for helping clients turn their rooms and homes into stunning works of art. You are going to find that their reputation for creating a brilliant marriage of form and function is well-deserved. From making small changes to small rooms, to completely reshaping the energy and style of a room from top to bottom, they will work with you on every level imaginable. De'Corner offers a NEW European trend in luxury surface coverings with DA LIGHTS & SHADOWS. 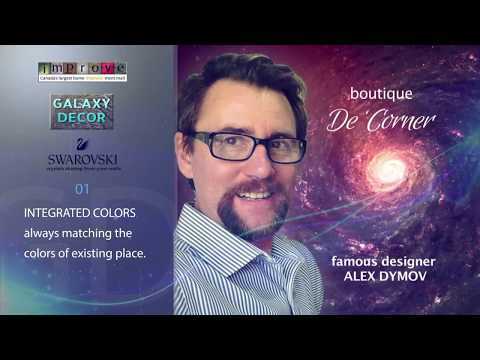 It is a technological innovation creating a magic beauty on your walls with the famous decorator Alex Dymov's revolutionary formula, which consists of specs of crystals, shells, minerals, and epoxy. You can truly experience new heights in luxury living with our prestigious designs. Unique and customized artworks with stunning decor solutions will transform your home to a gorgeous one-of-a-kind space. The best solution in highly impressive and affordable decoration of walls, ceilings, columns, arches, and fireplaces. Corner to corner coverage with no miracle is a miracle of nature for all types of RE. With the Our Life Warranty, it is the must-have option for architects, interior designers and home/business owners. Our breathtaking best sellers are the hi-end addition to your furniture and appliances that can truly enhance your home decor.